It's a hardwood floor that you can really live on found within our Revolutionary Rustics collection built with the endurance for real life active kids, pets and heavy foot traffic. Utilizing EverGuard+ a strong, protective coating forms the hardest traffic and wear resistant barrier that also protects the wood from soils and stains. You get powerful scratch protection that lets the natural allure of wood shine through no cloudy finish here. Constructed exclusively from 100% solid premium Appalachian hardwood, its organic beauty, strength and quality provide the durability needed to last a lifetime. And, with the protection of our Lifetime Finish and the assurance of a Limited Lifetime Warranty, you will love your floors for years to come. 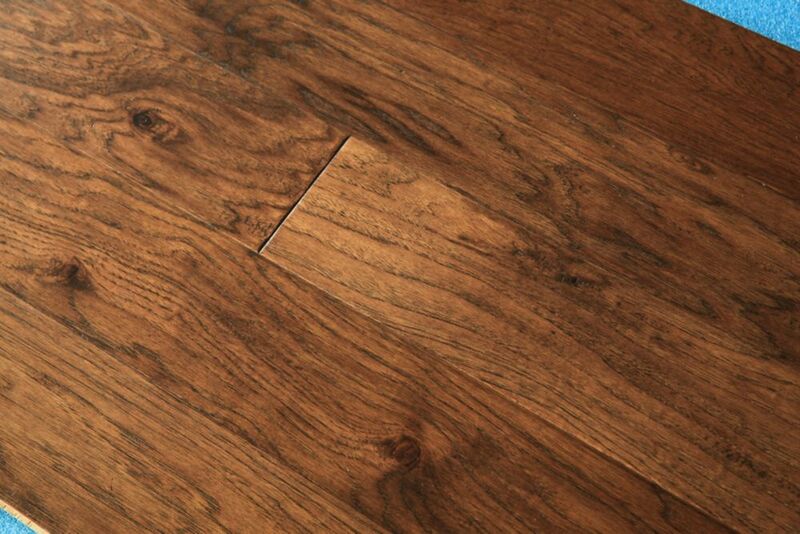 Hickory Austin Engineered Hardwood Flooring is rated 1.0 out of 5 by 1. Rated 1 out of 5 by Eric from An great source of frustration and formaldehyde Think twice before buying. I received 2 different colours, 2 different numbers of medium and short pieces per box. I called Guoya to enquire and they didn't care, said to return it. I am. The other thing to consider is how much formaldehyde you want in your home. Run away from this junk. What are the formaldehyde levels in the glue, considering this product is made in China? I have purchased this product in 2016 and also, recently but have understood that this product may have unacceptable levels. Please advise.